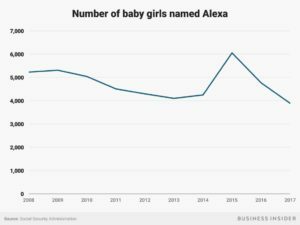 Fewer Americans are naming their babies Alexa since the first release of the Amazon Echo in 2015, according to Social Security data. 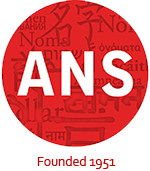 The government keeps track of the popularity of all baby names in the U.S., and their data shows that the girls’ name Alexa peaked in popularity in 2015, right before the introduction of Amazon’s now famous AI personal assistant, which is most commonly activated by the wake word, “Alexa.” Check out this article at Business Insider to see what other names rose or declined in the wake of Alexa. ← What’s your favorite Kentucky Derby horse name?